Some things just get more and more fun as little ones grow up. But slowly and surely with each time you visit that place, or play that same game. Something new happens that allow those new memories to be created. 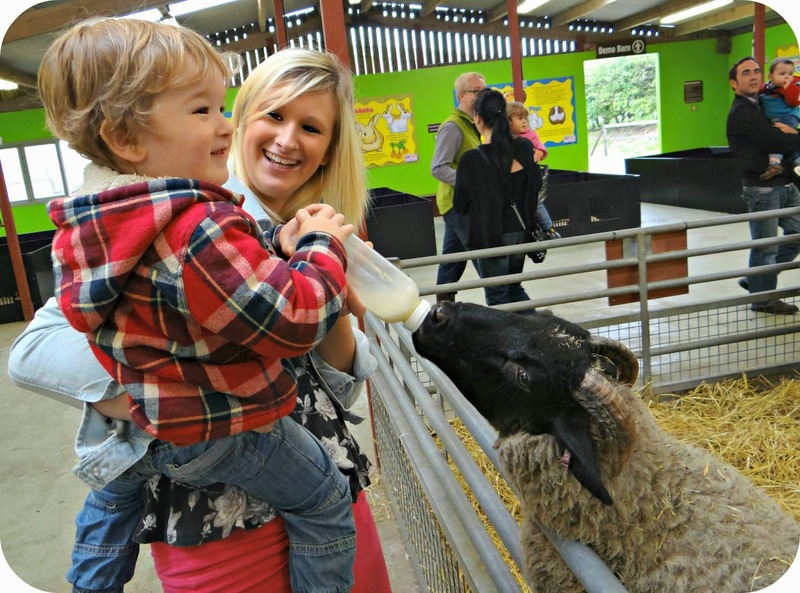 We are no stranger to the Cotswold Farm Park, it is right on our door step and we visit time and time again. Each time we go Leo is that little bit older, and on this occasion he has well and truly loved each experience that came across his path. 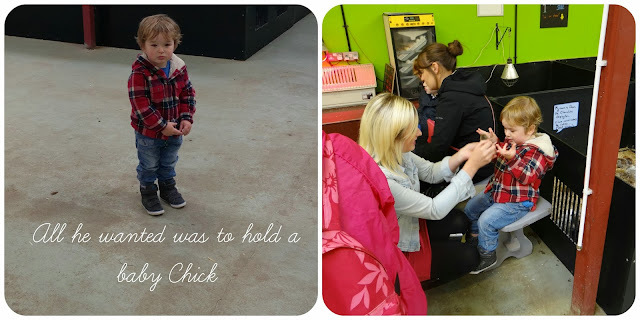 Just looking back at our past visits has shown me just how much my little guy has grown and changed, especially since that very first visit back in March 2012. 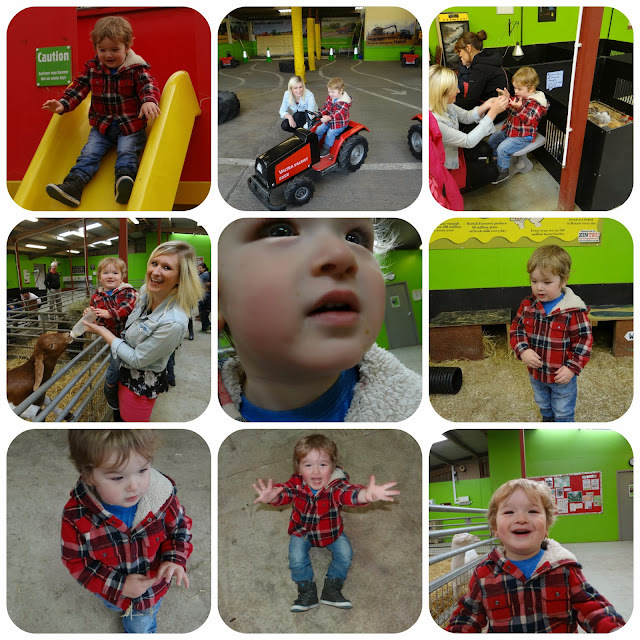 5 months after Leo's first visit we were back again for my Birthday, but you can see such a change in him even then, the fact he is walking is just one of those big changes. And then of course there was our visit back in April of this year, when Leo was just 21 months old. Watching Leo take control and run around the farm was lovely to behold. 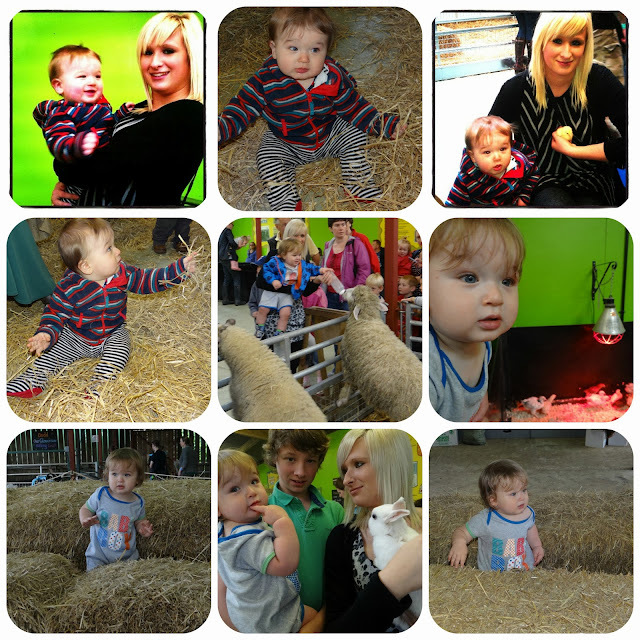 He had been most excited about seeing his Timmy Sheep again or 'Baa' as he is formally known. With Autumn upon us the park was quiet apart from the odd school trip or two, and we made the most of getting such a hands on experience with all of the animals. Leo had the opportunity to feed the younger animals a bottle or two, and as he gave the baby Timmy his milk his face lit up. That smile couldn't have been any more prominent if he had tried, and as I held on to Leo and the bottle so that the hungry Sheep didn't steal the bottle off him, I couldn't help but smile. It is safe to say that feeding Timmy his milk was the absolute highlight of his day. We did have a little sad face at one point though, with all of the school trips going around they were given priority. So when Leo expressed an interest in holding a baby chick he was completely over looked because of all the school children. 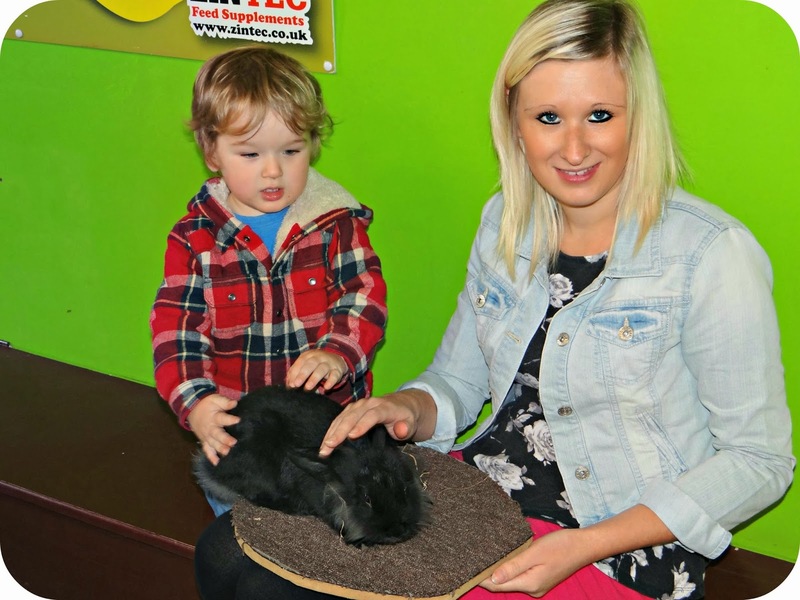 There was a lady assigned to hand out the chicks to the guests but Leo simply merged into the background, and he got rather upset when he couldn't understand why he hadn't been given that opportunity. In true Leo form though he had very soon got the spot light shining firmly back on his shoulders. He wasn't taking no for an answer and ran up right past all of those school children and very almost took a chick for himself, this quick act on his part got the attention of the lady who had been so pre-occupied moments before... and Leo got his baby chick. 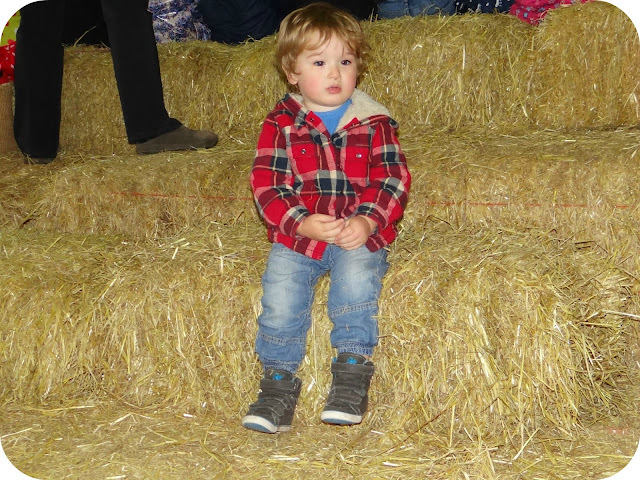 Leo was finally big enough to enjoy the sit and ride tractors, although he couldn't work out the pedal to make it go on this occasion, he was more than happy for me to kneel down and put my hand on the accelerator. I can confirm that steering for him as well as accelerating is as hard as it looks..
As usual though we had such a great day out on the farm, and I look forward to our next adventure in the great outdoors. I just had to share some of our older photos from the farm with this post, because I have just been flicking through them... And just look what a little dot my little guy once was. Amazing how over 4 visits to our country retreat, so much has changed as he has grown.